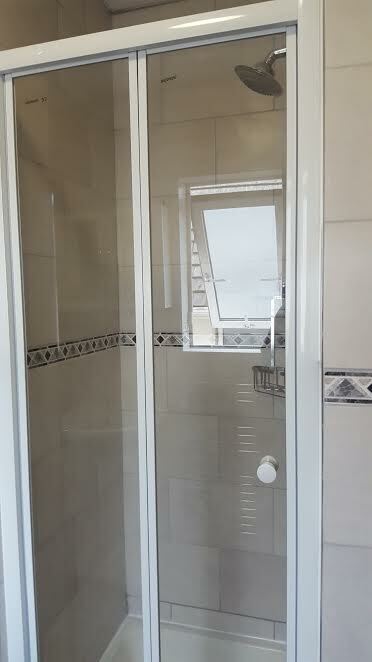 This Greystones bathroom renovation took three days complete. 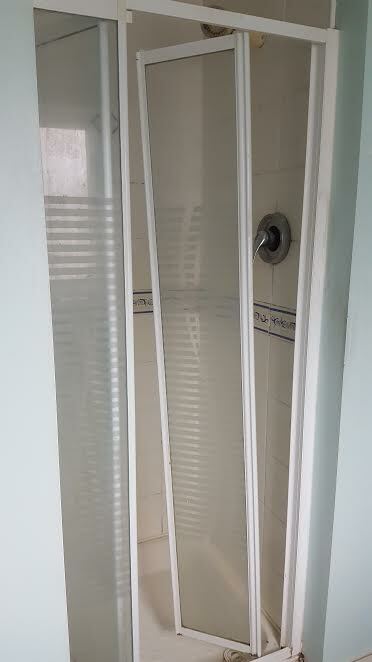 I started by taking the old fixtures out and running the pipes to where they needed to go. 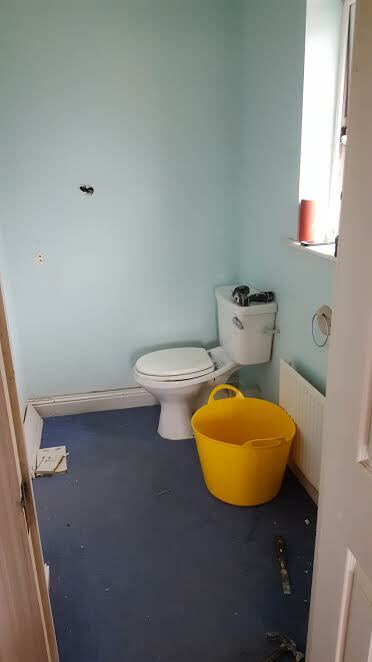 The walls and floor were primed. 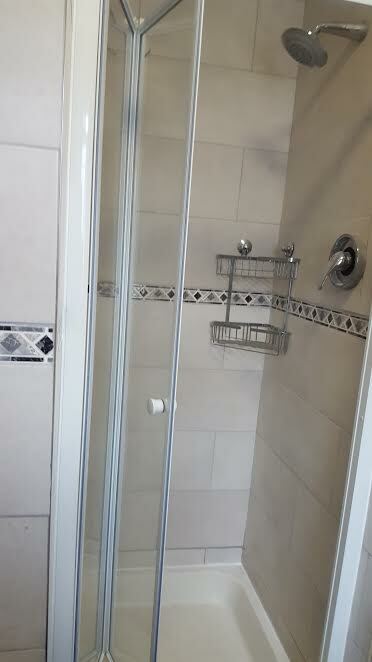 The wall tiles are light grey with a silver grey grout and black and grey border. 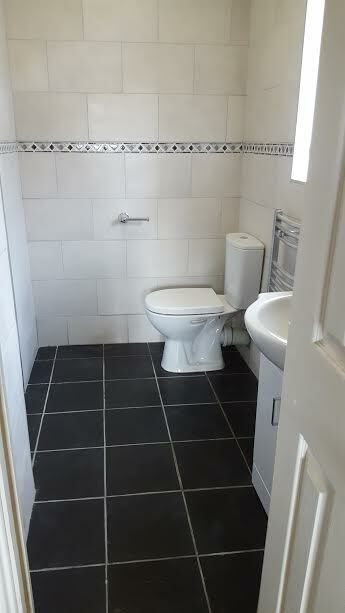 The floor tiles are black with dark grey grout. 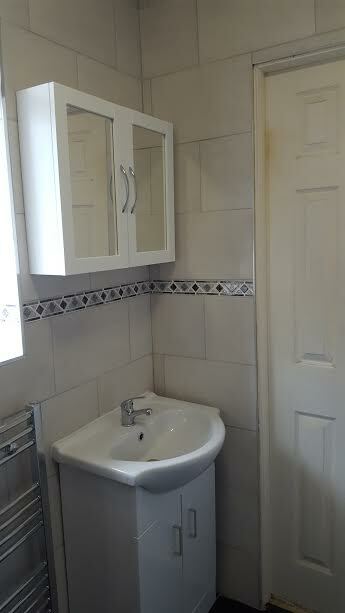 There was a new toilet, vanity unit and sink, towel rad, shower door and shower head.